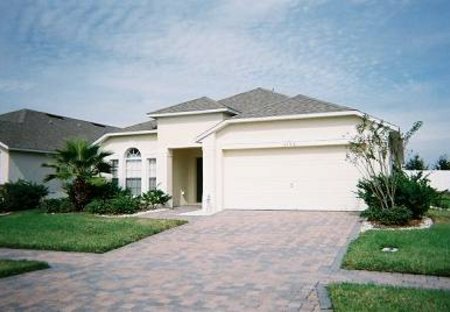 Home from home villa situated in the Emerald Island gated resort in Kissimmee. Private pool and games room. Full use of the club house amenities. Minutes from Disney main gate. Doral Woods is a select development of family homes on large plots amidst mature trees. It is about 10 mins south of the 192 with its many restaurants and the famous Kissimmee Old Town. Spacious luxury property situated at the top of the exclusive gated community of Windsor Hills in Kissimmee. Private south facing pool and spa. 2 miles from Disney and Universal is 15 mins drive away. Luxurious holiday home, which sleeps 9, situated in quiet lakeside residential area, 15 minutes from Orlando Airport and only 20 minutes from Disney. Plan to stay in this 3 bedroom, 2 bathroom Luxury Vacation Villa with Full Kitchen just 5 miles from Walt Disney World! Sleeps 8 comfortably!